The Renona Rehabilitation Centre offered me a chance to help fulfil the dreams of others. As every member of the Renona team, I was also motivated to work in the team by my desire to help the others. I am very glad that I got the chance to be the president of the company and head of such amazing team of young people who do their jobs with incredible affection and love in their hearts. The contact with patients we try to help every day and their parents gives me a feeling of satisfaction and I know that our work is important. Happy faces of our patients and their family members are the greatest reward for our rehabilitation team. The aim of our organisation is continuous improvement of our rehabilitation services via courses for rehabilitation specialists, certification and cooperation with international partners. 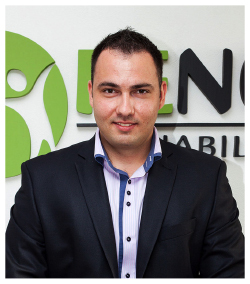 I am certain that the joint effort of the Renona team will help our patients to have a better life.